…but for myself this time. Christmas is over, I spent money on family, friends and pets…okay, mostly pets so it is time to do a little shopping for myself. At the beginning of a the new season I donate clothes I did not wear that year. This year I gave away most of my winter-wear because I had a very specific style which did not carry over this season. I focused on cold-weather garments I could wear to work since I rarely socialize. I ended up with some holiday nondescript staples…and one Christmas sweater…but if I celebrate I need at least one, right? New Balance 420 Sneaker New Balance shoes are comfortable and sturdy but they look really thick against my scrawny ankles and less than defined calves. 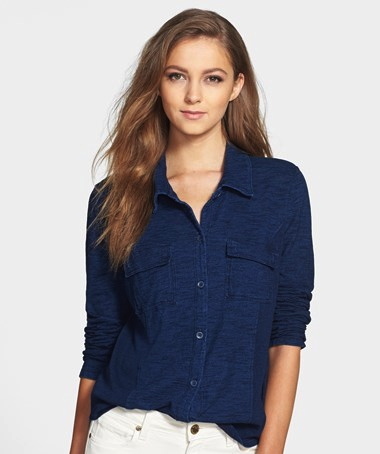 I prefer this style for it’s lean, sleek look which I can totally wear to work! The little plaid detailing is pretty cute too! Nordstrom Plaid Cashmere Muffler Oversize plaid design. Scarf. That is all. Rebecca Minkoff Mini Mac Convertible Crossbody Bag I’ve have been eye-ing these mini cross-body for a long time but never really have an occasion to purchase it. However, I am in the market for a new bag. I am of the philosophy I can spend more on accessories because they last a life-time (READ justifying LE 2012 Chanel sunglasses) and just cannot resist this bright color. 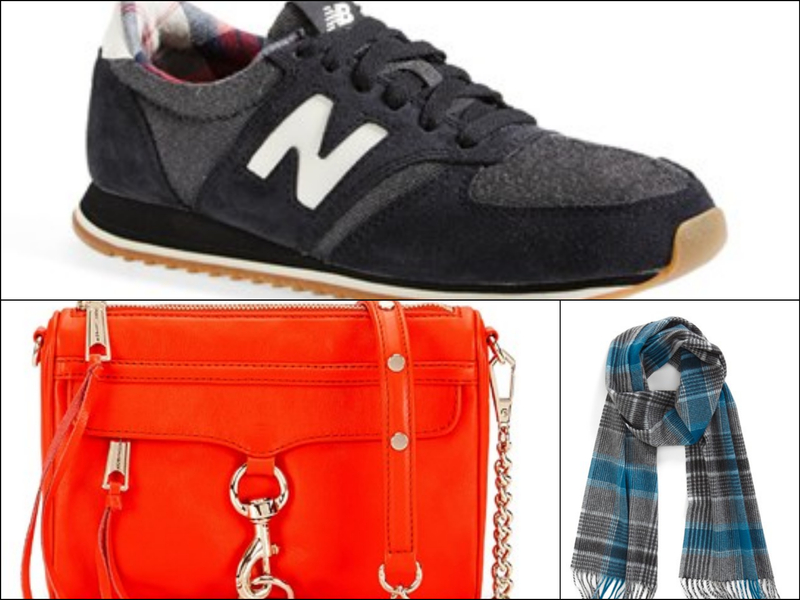 I am such a sucker for bright accessories, okay, any accesories…! Equipment Sloan Star Pattern Cashmere Sweater A little pricey but a starry must! kensie Panda Colorblock Crewneck Sweater Panda! I could not resist this adorable sweater. This image is very similar to the last Friends of the National Zoo logo. Gibson Dolman Sleeve Open Cardigan I might not wear out this out to dinner but it would be great for relaxing at a friend’s house. Stem Snood Collar Sweatshirt Because nobody can ever have enough non-gym sweatshirts! It is that time of year when I re-stock my everyday beauty products. Chanel Vitalumiere Aqua Ultra-Light Skin Perfecting Makeup I am not a foundation person. I do not like the feeling of product on my face. I would rather go out with bad skin than cover it with base. This being said, I L-O-V-E Vitalumiere. I only need a few dots across my entire face and neck. I barely detect it, it does not dry out my skin, it appears dewy without slippage and it masks minor imperfections. Better yet, one bottle lasted well over a year! Chanel Lotion Douceur Gentle Hydrating Toner I love this toner for winter. It is moisturizing but does not break me out! It is a little too heavy for spring/summer for me but I have oily-combination skin. Full review linked here. Ecriture de Chanel Automatic Liquid Eyeliner I have used this eyeliner for years. It is my go-to everyday liner. It is pigmented and very black. The color fades a little but I like that “lived-in” look. I use two twists for the perfect amount and while that sounds like a lot the pen lasts for ever. It is difficult to get a fine line because of the thick brush tip but since I prefer thicker lines I do not mind. It also does not flake even during a workout! (I do not usually take off my eye-makeup before going to the gym). Lotta Luv Nerds Lipgloss How cute are these?? I wish I had seen these before because these are the perfect stocking stuffers for young girls just starting out in makeup. Perfect for “didn’t see this person at Christmas but will and still need a present”. They also sell Hershey chocolate flavored lip balms (linked here) but they’re sold out. Very reminiscent of Lip Smackers. What a throwback! 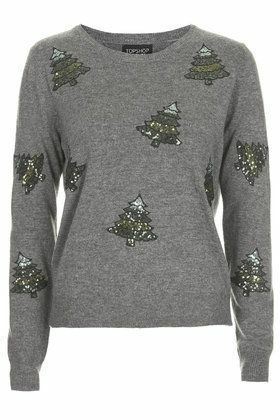 How cute is this Topshop Christmas tree sweater? It is not overly Christmas-y but seasonal enough I feel spirited. I use any excuse to wear it but I am so bummed it is now 50% off!! Seriously, this is kind of annoying. I bought it a month ago right after Thanksgiving, but still, UGH! Alright, so I cannot help but pick up something new to try. Why not, I just spent money on everyone else, why not get something for me while I am at it? I heard some really good things about new to Nordstrom brand Charlotte Tillbury’s Fallen Angel but I have one (or two) too many neutral palettes to begin with! Or…should I stick with something tried and true in these Chanel Rouge Coco Shines? I am not a lip person but these lip balm/gloss hybrids are hydrating and provide a sheer dose of color! What do you think of my end of 2014 choices? 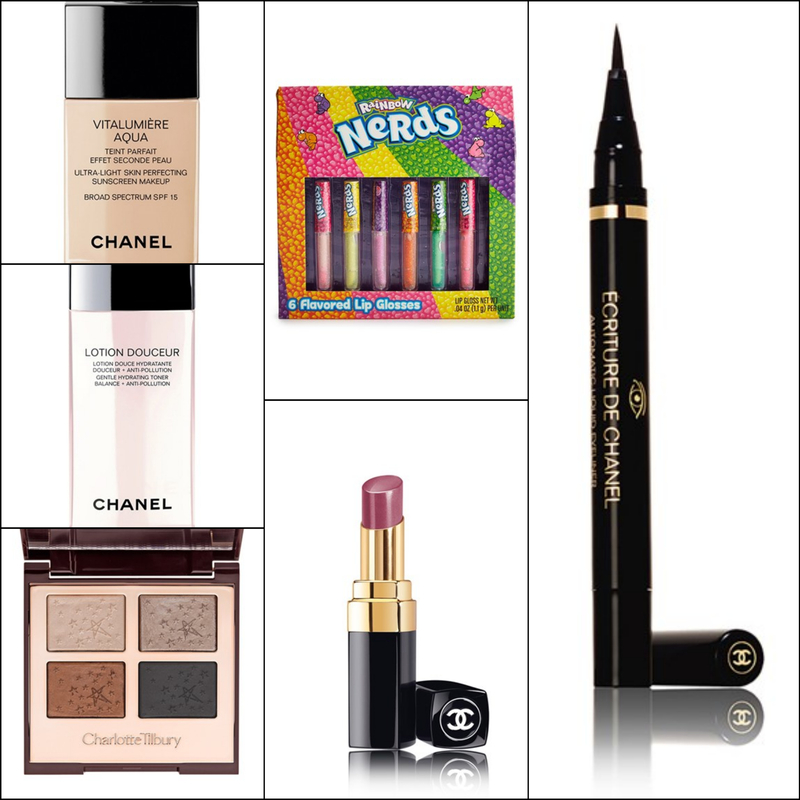 Do you splurge for yourself after the holidays too? What do you buy?